To get the most time for your money we recommend booking at our day rates. All our hourly and daily ‘block’ charges are divided into ‘studio rates’ and ‘engineer rates’. The total hourly cost is the combination of these two rates. This is because engineering costs may vary depending on the engineer. In-house Engineer rate (Kevin or Matt): additional $100/day or $15/hr. ($30 minimum). Other specialty engineers available at other rates depending on the engineer. Guest engineers: We work with several freelance engineers at FRS. Note that we require an “acclimation” approval process and fee for first timers (we provide an in house assistant for up to the entire session length to ensure an expedient and smooth session. $50 to $100 additional charge at our discretion). Guest engineers must be qualified Pro Tools HD engineers with certifiable studio resume experience and demonstrate an FRS approved level of studio system knowledge and problem solving. –All our in-house gear is available at no extra cost. Supplemental equipment may incur charges. 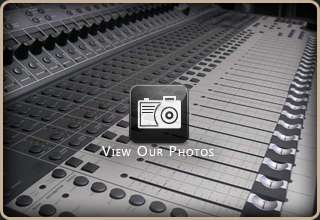 –We require a 50% deposit in advance to secure your studio time, the remainder due at the end of your session and before any recordings are released from the studio. Cash, check, credit card, and paypal / bank transfer are all acceptable forms of payment. –A ‘day’ is considered to be 10 hours of continuous studio time, additional hours are billed hourly at a prorated amount. A 10 hour ‘day’ or ‘block’ of time can NOT be split over several days. –We strongly recommend that you bring a hard drive or flash drive with 50+ gigabytes of free space to your session to back up a copy of your recorded material. Although we save and back up all our clients’ recordings indefinitely, FRS is NOT responsible for loss of your material if you do not personally back it up onto your own hard drive. –No recorded materials, mixes, or masters are released until full payment for studio time is received. –Multi-day discounts: Book more than 5 full days in one month, we’ll take $100 off your total! –Media services: We can assist you with acquiring the tools you need to make the most of your project–hard drives for your master files, DVDs for data back-up, etc.,. –Help with releasing your material: We’re happy to connect you with our connections! We’ll help direct you towards resources you need to create artwork, reproduce, release, and distribute your music.